Each year the Executive Committee of the BPA awards a $2,500 scholarship in the memory of Dr Kathyann L. White, to an outstanding student in the field of pharmacy. Scholarship applicants must be Bermudian and have completed at least one year of Pharmacy school. 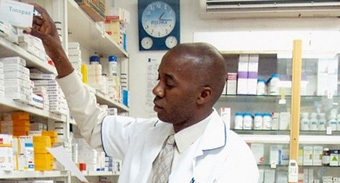 To apply visit Bermuda Pharmaceutical Association Scholarship Applications close August 31st. Dr Kathyann White was the first Bermudian pharmacist with a doctorate to register for practice in Bermuda. She was at the peak of her profession when her life was tragically cut short by breast cancer in 1992 at the age of 36. Dr White was educated at the Central School, Berkley Institute and Bermuda College before attending Massachusetts College of Pharmacy where she earned a Bachelor of Science. She completed her Doctorate in Pharmacy in 1981 at the Mercer Southern School in Georgia. Over ten years at King Edward VII Memorial Hospital as both a clinical pharmacist and acting Chief Pharmacist, Dr White developed the Clinical Pharmacy Programme and introduced the Pharmacy Technician Programme. Active in the BPA, Dr White oversaw the first Pharmacy Awareness Week in 1987. She also wrote a weekly column on pharmaceutical drugs in The Bermuda Times. Her final position was as manager of Paget Pharmacy. Dr White contributed significantly to Bermudian society. 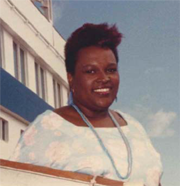 She served as President of the Bermuda Public Services Association and ran as the Progressive Labour Party candidate in the Warwick Constituency in the 1989 General Election. Dr White was fortunate to have her first year at pharmacy school funded by the Dr E.F. Gordon and Leonard Bascome Memorial Fund. One of her goals was to provide scholarships for financially needy Bermudian students. Dr White is survived by her children, twins Sacha and Sergio. Christia was educated at Southampton Glebe School and Bermuda Institute before attending Bob Jones High School and Oakwood College in Alabama, USA. Christia has always been drawn to the health professions and decided to pursue pharmacy as her career path. She worked at the King Edward VII Memorial Hospital Pharmacy as an Oncology Pharmacy Technician and part time at People’s Pharmacy before returning to study. 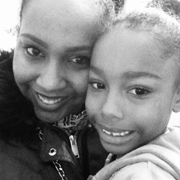 Christia made the bold decision to move to the United Kingdom with her daughter Sakairi, to attend Pharmacy school. Christia is currently a second year pharmacy student at Liverpool John Moores University. She is expected to complete her Masters of Pharmacy in May 2017. It is her dream to become a clinical pharmacist and to become a success so that she can be an asset to Bermuda. The reinsurance industry didn’t fit the bill for Hayley Evans. Law and accounting were similarly unappealing careers. She was a secondary student at Saltus Grammar School when everything fell into place. Miss Evans will graduate with a Doctor of Pharmacy degree from Northeastern University next year. It’s a six-year programme that involves two years of basic science followed by a mix of professional courses and work experience. She was helped by the $2,500 Dr Kathyann White Memorial Scholarship, offered annually by the Bermuda Pharmaceutical Association. The organisation is hoping to raise its profile with a series of events throughout Pharmacy Week, which begins on Monday. The 23-year-old spent four months working on rotation here in 2012. Organised by Karen Leseur of Island Health Pharmacy, the internship allowed the pharmacy student to split her time between IHP, Caesar’s Pharmacy in Sandys, Point Finger Road Pharmacy, and Lindo’s Devonshire. Her rotation at Tufts Medical Centre in Boston ends this week. On Monday she will join Lahey Hospital and Medical Centre in Burlington. “My journey to becoming a pharmacist began with a focus on retail, however, now I have begun to consider a more clinical role in areas such as consulting or ambulatory care or hospital,” Miss Evans said. 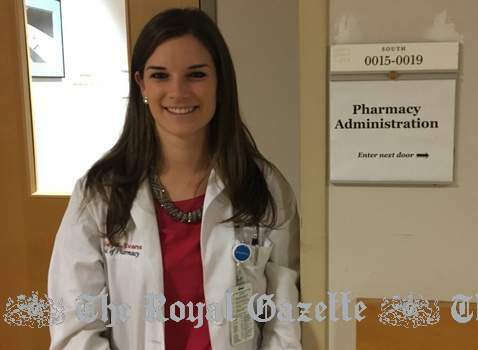 “I completed my first co-op position in Bermuda rotating between four different pharmacies of various sizes. “I received first-hand experience to the different patient populations each pharmacy catered to depending on their location and proximity to medical offices. It was a rewarding experience and I am grateful for all the mentorship I received during the placement. Miss Evans is considering a post-graduate degree once she graduates. The year-long residency is now becoming standard practice in the US for pharmacists hoping to work in hospitals. Her ultimate goal is work as a consultant for senior citizens here. “The geriatric population is growing in both the United States and in Bermuda, as baby boomers are entering the next stage and current seniors are living longer,” she said. “Multiple, unnecessary medications and adverse drug events happen all too often and it is the duty of the pharmacist to identify and make interventions in patients’ regimens.